Courtesy of Predictive Science, Inc.A supercomputer simulation of the sun’s corona on August 21, 2017, during the total solar eclipse. No one knows exactly what the total solar eclipse will look like until it actually happens. But that hasn’t stopped computer scientists from guessing. Nearly anyone in the US can see the moon partially block the sun, weather permitting, although you will onle be able to watch it here in Australia. However, those lucky enough to be in the 2,800-mile-long, 70-mile-wide path of totality will see the moon completely block the sun. Totality will last about two minutes, and during that time, onlookers will not only view the darkest shadow of the moon, but also the sun’s corona — a dim outer atmosphere of high-speed solar particles that’s normally invisible during the day. The corona is somewhat unpredictable, though, since the sun is a giant, dynamic, white-hot ball of super-heated plasma. The star is constantly feeding the corona with high-speed particles and changing its appearance. To figure out what the corona will look on Monday, a scientific research company called Predictive Science, Inc., enlisted the help of three supercomputers to simulate a visual forecast of totality. “This is our final prediction of the solar corona for the August 21, 2017 total solar eclipse,” Predictive Science wrote on its website Thursday. The 3D simulations take what is currently known about the sun — its magnetic field, output of particles, rotation rate, and more — and use mathematical models to push the fast forward button, according to a press release posted by the University of Texas at Austin. That university helped power the imagery with its Stampede2 supercomputer, in addition to the San Diego Supercomputer Center’s Comet and NASA’s Pleiades. Here are a few of the simulations in the forecast and what they show. 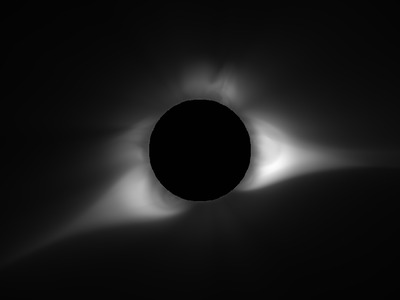 This image shows roughly how the corona may appear to people on the ground if they look through a polarised 'Newkirk' filter. You can see two lobes on the corona. Courtesy of Predictive Science, Inc.
Totality's brightness may resemble this image. 'These are two different attempts to approximate what the human eye might see during the solar eclipse,' Predictive Science said. 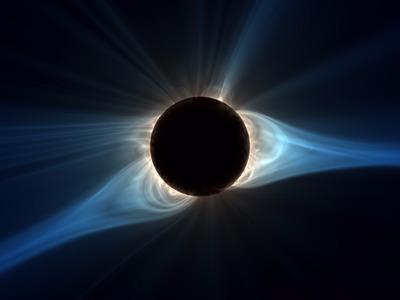 By applying some filtering, this view highlights the wispy, almost wave-like tendrils of the corona. 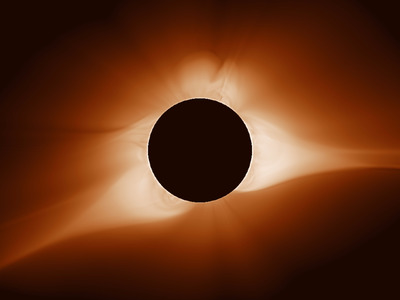 Predictive Science also simulated this view of the corona's brightness in a brown-hued colormap (which looks orange) instead of a more natural blue. This view rotates the sun to show how the corona would change in brightness. 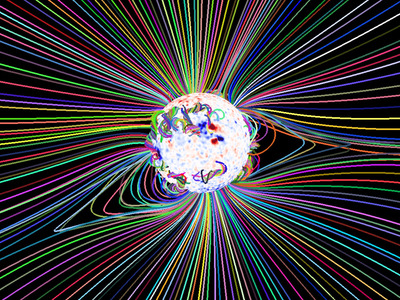 Predictive Science also rendered the magnetic field lines of the sun, since they shape the corona's extent and brightness by guiding solar particles. While no one will see this image with their naked eye, it's gorgeous -- and combines many images to show the complex, highly detailed structure of the corona. 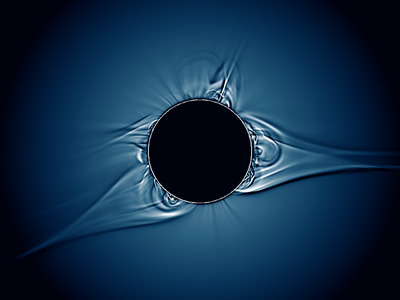 Predictive Science also released a video of this 3D-corona simulation spinning around.